The Mexico energy market has been a hot topic ever since late 2013 when the government decided to liberalize the energy sector, opening it up to foreign investment. The reform provides an unprecedented opportunity for international companies to participate in development of the nation’s vast oil resources as PEMEX unwinds its current monopoly. Multiple other opportunities exist in the power sector, in renewable development and in the natural gas pipeline sector. The energy reforms were largely a result of the steep decline of the country’s oil production, inadequate financial resources to turn production around and an inability of PEMEX to keep pace with the technological change taking place in the industry. Mexico ranks sixth in the world for non-conventional oil and gas resources, right behind Canada and Algeria, but lacks the financial resources to develop its reserves. It would take US$20 billion to extract the country’s reserves over a 210-year period and $87 billion to do it in 50 years. It also would not be possible to do this with one state-owned exploration and production monopoly — this is why the reforms were necessary. Mexico, Canada and the US have signed a memorandum of understanding for energy and climate change cooperation, aimed at harmonizing the three countries’ policies and promoting green strategies. The three countries announced last week that they are moving toward energy integration during Mexican energy minister Pedro Joaquín Coldwell’s visit to Winnipeg. 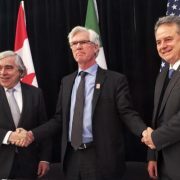 Coldwell (pictured, right) met with Canada’s natural resources minister Jim Carr (center) and US energy secretary Ernest Moniz (left), all of whom signed the MOU, according to Mexico’s energy ministry (Sener). Coldwell said that among the three nations’ common aims is to offer clean electricity at competitive prices based on a lasting infrastructure, and highlighted Mexico’s commitment toward the three countries’ energy integration. The meeting between the three ministers resulted in agreements to work toward increased electric power grid efficiency, use of green technology and the commitment to create common regulations to control CO2 emissions. Mexico’s energy reform promotes the use of renewable energy sources and the first long-term power auction, to be held on March 31, will allow for the generation of cleaner, cheaper electricity, Coldwell said. “In Mexico we are promoting investment in gas pipelines and combined cycle power plants with cutting-edge technology,” he said. 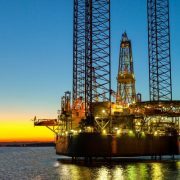 He also referred to Mexico’s auction of shallow water, onshore and deepwater oil fields, the latter of which is to be held in October, bringing private investment to the oil and gas sector. 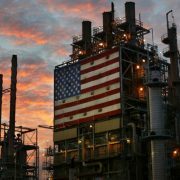 Of the foreign firms that have so far been awarded contracts in the oil and gas auctions, five are from the US and one is Canadian, he said. Mexico is also expanding its electricity connection with the US and moving forward with natural gas pipeline connections with its northern neighbor, he added. Coldwell said the MOU incorporates previous agreements between the three countries, as well as commitments assumed at the COP21 climate talks in Paris.